Credit on some of these pics on this site goes to Sheree Spivey........Thank You Sheree for letting me use your Awesome Pics.....I appreciate it..........Wooooooooooooooooooooooooooooo!!!!!! 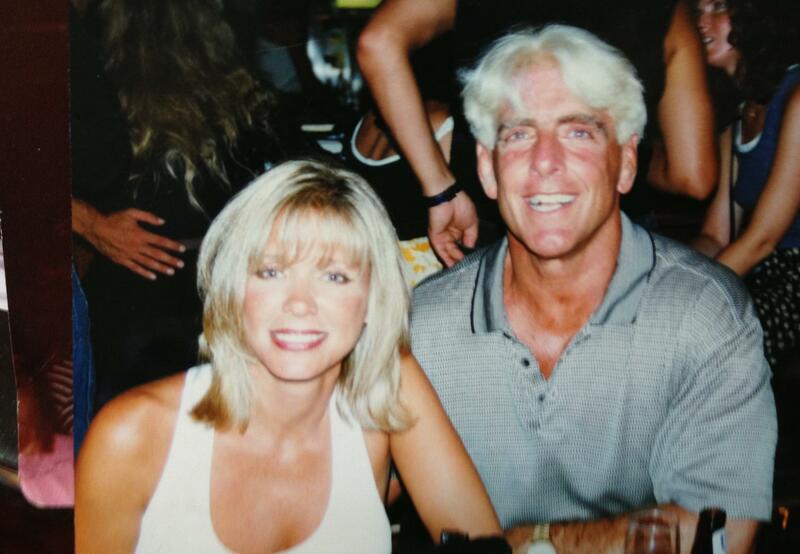 The "Nature Boy" Ric Flair in 1988 looking as only he has ever been able to look.......WOOOOOOOOOOOOOOOO!!!!! I GOT TWO WORDS FOR YA.............HE'S BACK!!!!!!!! 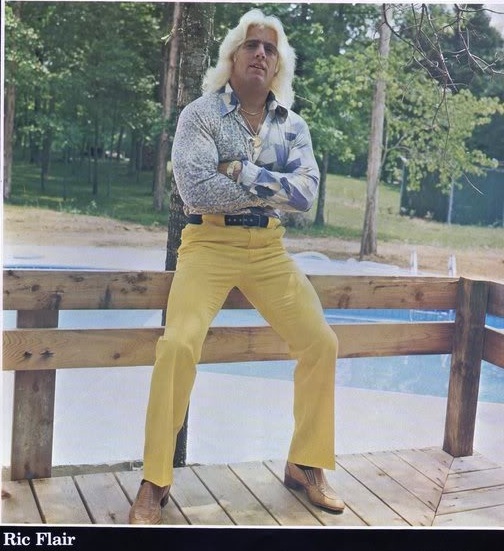 A Classic Late 70's Pic of "The Nature Boy"!! CONGRATS TO THE GREATEST AND MOST ELITE, THE MOST ICONIC AND MOST LEGENDARY STABLE IN THE HISTORY OF PROFESSIONAL WRESTLING = THE FOUR HORSEMEN FOR BEING INDUCTED INTO THE 2012 WWE HALL OF FAME. 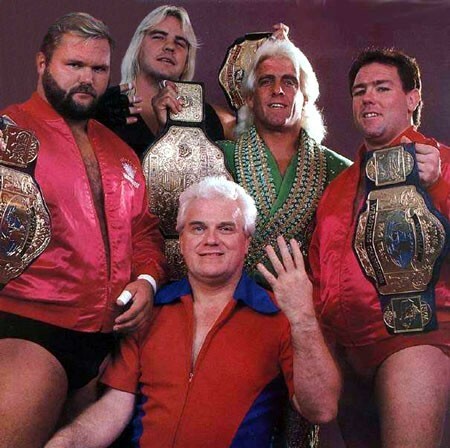 CONGRATS TO BARRY, ARN, TULLY AND RIC FLAIR AGAIN AS "THE NAITCH" IS THE ONLY SUPERSTAR IN THE HISTORY OF PROFESSIONAL WRESTLING TO BE INDUCTED INTO THE HALL OF FAME TWICE, AND WHEN I THINK OF THE FOUR HORSEMEN I THINK OF A COMMENT JIM ROSS MADE WHEN HE SAID "WITHOUT THE HORSEMEN "THERE DAMN SURE WOULD NEVER HAVE BEEN A NWO, OR A DX..........I THINK THOSE COMMENTS SAYS IT ALL.......WOOOOOOOOOOOO!!! WITH THE ADDITION OF "THE NAITCH" TO THE 2012 WWE HALL OF FAME, MR. 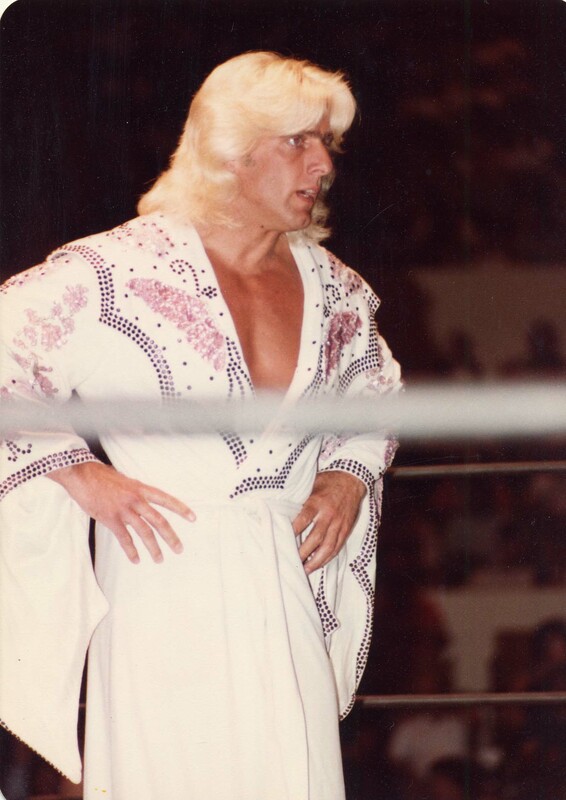 FLAIR WILL HAVE THE DISTINCTION OF BEING THE ONLY SUPERSTAR IN THE HISTORY OF PROFESSIONAL WRESTLING TO BE INDUCTED INTO THE HALL OF FAME TWICE WHICH ADDS TO HIS INCREDIBLE LEGACY AS THE GREATEST PROFESSIONAL WRESTLER THAT HAS EVER LACED UP A PAIR OF BOOTS. OF COURSE WE ALREADY KNOW THAT RIC'S THE BEST EVER BUT NOW HE'S ADDED ANOTHER ACCOMPLISHMENT TO HIS ICONIC STATUS AS BEING THE ONLY WRESTLER IN HISTORY TO HAVE TWO HALL OF FAME RINGS SO THIS HAS TOTALLY "SEALED THE DEAL" TO HIS UNPARALLELED CAREER. CONGRATS TO THE "NATURE BOY". NOBODY DESERVES THIS MONUMENTAL ACHIEVEMENT MORE THEN HIM!!! ME WITH THE GREATEST PROFESSIONAL WRESTLER WHO HAS EVER LIVED "NATURE BOY" RIC FLAIR, THIS PIC WAS TOOK ON APRIL 30TH, 2011 AT THE "DOGWOOD FESTIVAL" IN FAYETTEVILLE, N.C...........WOOOOOOOOOOOO!! RIC FLAIR WITH HIS 2010 SUPERCHARGED CHEVY CAMARO SUPER SPORT, THIS CAR IS WHAT I CALL "BAD TO THE BONE"..........WOOOOOOOOOO!!! OLD SCHOOL CLASSIC NATURE BOY!!!! 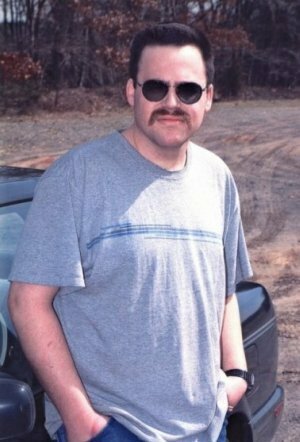 HERE IS A PICTURE OF ME (WEBMASTER DAVID MATTHEWS), YOU CAN GET IN TOUCH WITH ME BY E-MAILING ME AT PDMJR26@AOL.COM AND TO READ MY ARTICLE ABOUT RIC FLAIR PLEASE SCROOL DOWN THE PAGE RIGHT UNDER MY PICTURE BELOW TO WERE IT SAYS "MY LIFE STORY AS A RIC FLAIR FAN" THANKS EVERYBODY FOR YOUR CONTINUTED SUPPORT TO MY WEBSITE FOR SO MANY YEARS. I REALLY DO APPRECIATE IT BECAUSE THIS WEBSITE WOULD BE NOTHING WITHOUT ALL THE FLAIR FANS. THANKS AGAIN. WOOOOOOO!!! MY LIFE STORY AS A RIC FRAIR FAN!!! MY NAME IS DAVID MATTHEWS. I HAVE BEEN A RIC FLAIR FAN AND HAVE BEEN WATCHING WRESTLING SINCE 1980 WHEN I WAS 7 YEARS OLD. MY BROTHER IS 9 YEARS OLDER THAN ME AND HE USED TO WATCH WRESTLING AND THATS HOW I GOT EXPOSED TO IT. FROM THE VERY BEGINNING EVEN THOUGH I WAS ONLY 7 YEARS OLD I KNEW THERE WAS SOMETHING SPECIAL GOING TO HAPPEN TO RIC FLAIR. OF COURSE HE WAS A GREAT WRESTLER. HE HAD UNBELIEVABLE CHARISMA AND A WORK ETHIC THAT IS SECOND TO NONE. WHEN YOU WATCHED HIM WRESTLE YOU KNEW HE WAS POURING HIS HEART AND SOUL INTO EVERY MATCH TO MAKE THE FANS THAT WERE IN ATTENDANCE GET THERE MONEY'S WORTH, AND BOY DID THEY GET THEIR MONEY'S WORTH WHEN THEY PAID TO SEE RIC FLAIR IN ACTION, I KNOW THIS WON'T BE A POPULAR STATEMENT TO MAINSTREAM SPORTS FANS BUT THE BOTTOM LINE IS THIS, THERE HAS NEVER IN MY OPINION BEEN A HARDER WORKER IN HIS CHOSEN PROFESSION AND GAVE HIS ALL AND DID EVERYTHING IN HIS POWER TO MAKE HIS MATCH BE THE BEST AND TO BE THE BEST NIGHT OUT THAN "NATURE BOY" RIC FLAIR. NOW THAT IS WHAT YOU CALL REAL ATHLETE, SOMEBODY THAT NIGHT IN AND NIGHT OUT GOES ALL OUT FOR ALL HIS MILLIONS OF FANS WORLDWIDE AND HAS WORKED SO HARD AND SACRIFICED HIS FAMILY IN THE PROCESS IN ORDER TO BE THE GREATEST WRESTLER THAT GOD HAS EVER CREATED. I PROMISE YOU THAT IS THE DEFINITION OF THE WORD ATHLETE. IF YOU DONT BELIEVE ME JUST READ WHAT I AM TYPING AND THINK ABOUT IT. ALL ATHLETES IN BASKETBALL, BASEBALL, AND FOOTBALL, ALL HAVE SOMETHING IN COMMON. THEY ALL HAVE A OFF SEASON, MEANING ABOUT 3 OR 4 MONTHS OUT OF A YEAR THEY DONT WORK. RIC FLAIR MY FRIEND HAS NEVER HAD A OFF SEASON. AS A MATTTER OF FACT HE HAS HAD THE HARDEST SCHEDULE IN THE HISTORY OF SPORTS ESPECIALLY WHEN HE WAS IN HIS PRIME FROM PROBABLY 1981 TILL THE MID 90'S WHEN THE SCHEDULE OF A WRESTLER BECAME EASIER BY GOING FROM WRESTLING 5 TO 7 DAYS OUT OF A WEEK TO 3 DAYS A WEEK LIKE THEY DO NOW. THE WRESTLERS OF TODAY DON'T HAVE A CLUE AS TO HOW HARD THE OLDER GUYS HAD IT, MOST OF THE ONES NOW COULDN'T EVEN HANG WITH THE HECTIC SCHEEDULE THAT GUYS LIKE RIC FLAIR HAD. JUST LOOK AT WWE RAW ON MONDAY NIGHTS, A MATCH NEVER LASTS OVER 10 TO 15 MINUTES, BUT RIC FLAIR NEVER EVER WRESTLED FOR ONLY 10 OR 15 MINUTES IN THE 1980'S. AS A MATTER OF FACT HIS MATCHES MOST OF THE TIME LASTED FROM 45 MINUTES TO A HOUR. I KNOW YOU YOUNG FANS READING THIS FIND THIS HARD TO BELIEVE, BUT TRUST ME I HAVE STUDIED THIS SPORT FOR MY WHOLE LIFE SO I KNOW WHAT I AM TALKING ABOUT. NOW FOR THE PEOPLE WHO ARE READING THIS SAYING TO THEMSELVES THAT THIS GUY IS CRAZY BECAUSE ALL OF WRESTLING IS FAKE. I HAVE A ANSWER FOR YOU ALSO AND HERE IT IS, FOR STARTERS PRO WRESTLING IS NOT FAKE, IT IS STAGED OR PLANNED, THERE IS A HUGE DIFFERENCE BETWEEN THE TWO. FAKE IS WHEN YOU AREN'T REALLY HITTING SOMEONE AT ALL, STAGED IS WHEN YOU KNOW WHO IS GOING TO WIN BEFORE THE MATCH STARTS, SO THT IS THE DIFFERENCE BETWEEN THE TWO. TO BE HONEST THE PEOPLE THAT RUN THEIR MOUTH AND DOWN WRESTLING DON'T HAVE A CLUE ABOUT WHAT THE WRESTLER'S PUT THEIR BODY'S THROUGH ON A NIGHTLY BASIS. IT IS VERY UNDERRATED FOR BEING A BRUTAL SPORT ON YOUR BODY, IT WOULD NOT TAKE BUT ONE LEGENDARY CHOP FROM RIC FLAIR HIMSELF TO MAKE SOME OF THESE IDIOTS THAT PUT DOWN WRESTLING TO SHUT THEIR MOUTH FOR GOOD. RIC FLAIR IS THE TOTAL PACKAGE IN A WRESTLER AND PERFORMER, THINK ABOUT IT HE HAS A CHARISMA, THE LOOKS. THE TALENT, THE STAMINA, THE WORK ETHIC, THE PERSONA, AND NOBODY AND I MEAN NOBODY WILL EVER TOUCH HIS CARDIOVASCUALR CONDITIONING AND NOBODY WILL EVER BE AS GOOD ON THE MICROPHONE AS RIC FLAIR AND THAT MY FRIENDS AIN'T EVEN CLOSE. 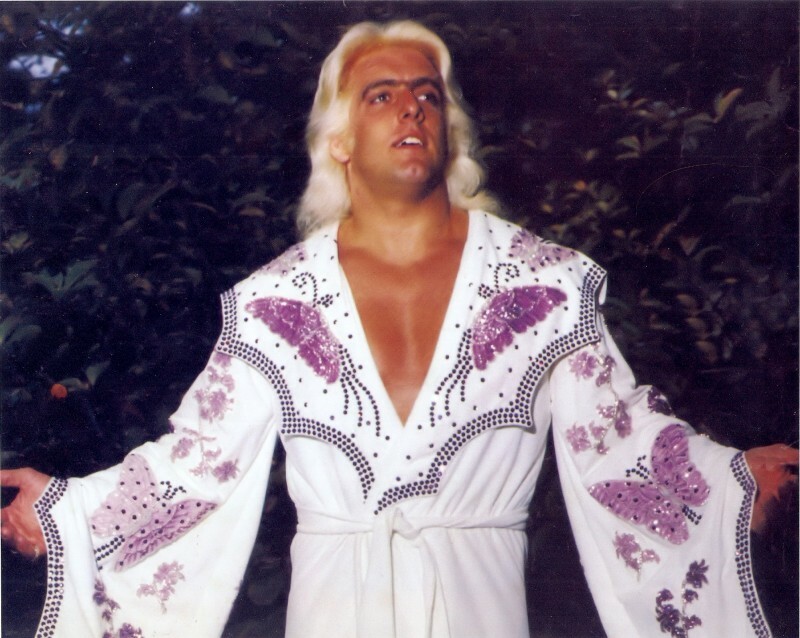 FLAIR HAS NO EQUAL ON THE MIC AND HIS PROMOS TODAY ON TNA ARE JUST AS GOOD AS HIS PROMOS 25 YEARS AGO IN THE NWA. NOBODY IN WRESTLING HISTORY HAS BEEN ABLE TO BE AT THE 45 MINUTE MARK OF A MATCH AND STILL LOOK LIKE HE HADN'T EVEN BROKEN A SWEAT YET. THE MAN IS JUST LIKE THE ENERGIZER BUNNY ON THE COMMERCIALS. THAT IS WHY AT 61 YEARS OF AGE HE IS STILL A UNBELIEVABLE PERFORMER, WHAT OTHER WRESTLER IS RIC FLAIR'S AGE AND STILL WORKS A PART TIME SCHEDULE LIKE HE DOES? 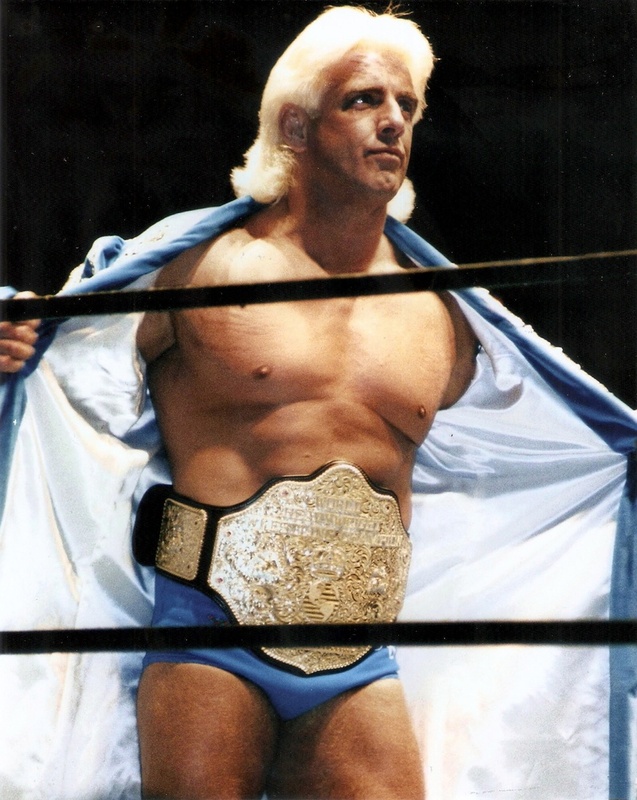 AND NOBODY HAS WON MORE WRESTLING TITLES OVERALL THAN RIC FLAIR, MUCH LESS HE HAS WON MORE WORLD TITLES THAN ANY MAN IN THE HISTORY OF WRESTLING. SOME PEOPLE SAY YES DAVID BUT IT IS PLANNED. I SAY YES I KNOW, BUT THE REASON THEY PUT THE WORLD TITLE ON HIM SO MANY TIMES IS BECAUSE THEY KNEW HE REALLY WAS THE BEST WRESTLER IN THE WORLD AND BACK THEN TRUST ME THEY KEPT THE BELT ON THE PERSON THEY REALLY THOUGHT WAS THE MOST TALENTED AND IN MOST CASES WAS THE MOST TALENTED UNLIKE TODAY. ANOTHER WORDS IF WRESTLING WAS NOT PLANNED OR STAGED, THEN IT WOULDN'T MATTER BECAUSE RIC FLAIR WOULD HAVE BEEN THE WORLD CHAMPION ANYWAY BECAUSE NOBODY WAS AS LEGITIMATELY GOOD IN THE RING AS HE WAS. IT WILL A VERY TRAGIC DAY WHEN RIC FLAIR IS NO LONGER A PART OF PROFESSIONAL WRESTLING BECAUSE THERE IS NOBODY AND I MEAN NOBODY IN THE WRESTLNIG BUSINESS NOW WHO CAN EVEN BE MENTIONED IN THE SAME BREATH AS RIC FLAIR. NOBODY HAS THE PASSION AND THE LOVE FOR THE SPORT LIKE HE DID AND HE STILL DOES, THIS WEBSITE IS A TRIBUTE TO A MAN THAT HAS BROUGHT 30 YEARS OF JOY TO MY LIFE BECAUSE OF HIS DESIRE TO BE THE BEST AND MAKE HIS FANS HAPPY. This is a Ric Flair fan site, and i make no association with either World Wrestling Entertainment, Inc or Ric Flair. All content on this site is for entertainment purposes only and designed as a dedication. 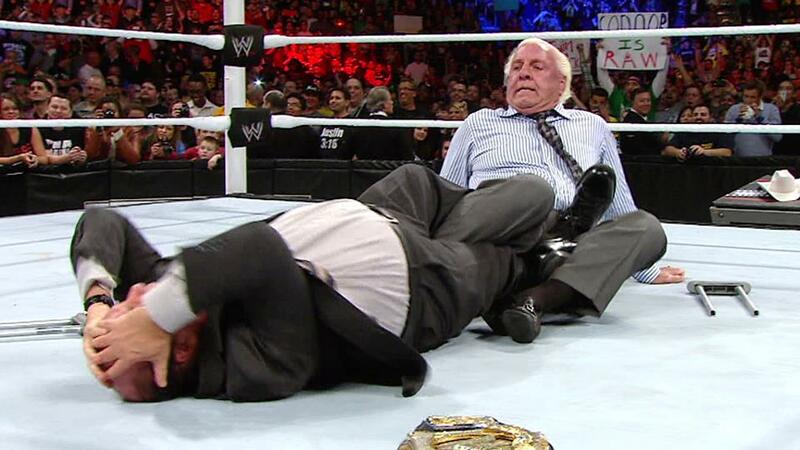 The name Ric Flair and all Trademarks are owned by WWE,Inc. No infringement is implied or intended. All photos, videos, soundboards, and multi-media are used in compliance with Fair Use Copright Law Title 17, Chapter 1, Section 107.